Manchester United are finally seeing elite performances from their mercurial Frenchman. Under Jose Mourinho, Paul Pogba was shackled. With Ole Gunnar Solskjaer at the wheel, the 26-year-old is allowed to play with freedom. He's expressing himself, loving life, playing with a smile. It's brilliant to see. In the midst of that scintillating form, it's fair to say that Pogba hasn't helped himself with comments about a certain team who're based in the Spanish capital... Just when Red Devils fans thought the links regarding their superstar players switching Old Trafford for the Santiago Bernabeu were over (see David de Gea), Pogba decides to flirt with Real Madrid. Is it really what it seems, though? Let's be honest here, Madrid is the dream destination for any player in world football. Whether United fans like it or not, Los Blancos is the pinnacle. There's a reason why Real have won the last three Champions League tournaments. Heck, who wouldn't want to be apart of that? It's not as if Pogba has come out and demanded he move to Madrid this upcoming summer, he's just repeating what we all know. Let's not forget that Pogba followed up his comments by reiterating his happiness at the Theatre of Dreams at this stage in his career. The media, for whatever reason, are keen to leave out that minor detail for the sake of a sensationalised headline. United fans are quick to jump on Pogba's back. I get that to an extent but I don't think he's done anything different than what Cristiano Ronaldo did. I firmly believe the Frenchman isn't letting the swirling rumours affect his on-field displays. That should be all that matters. 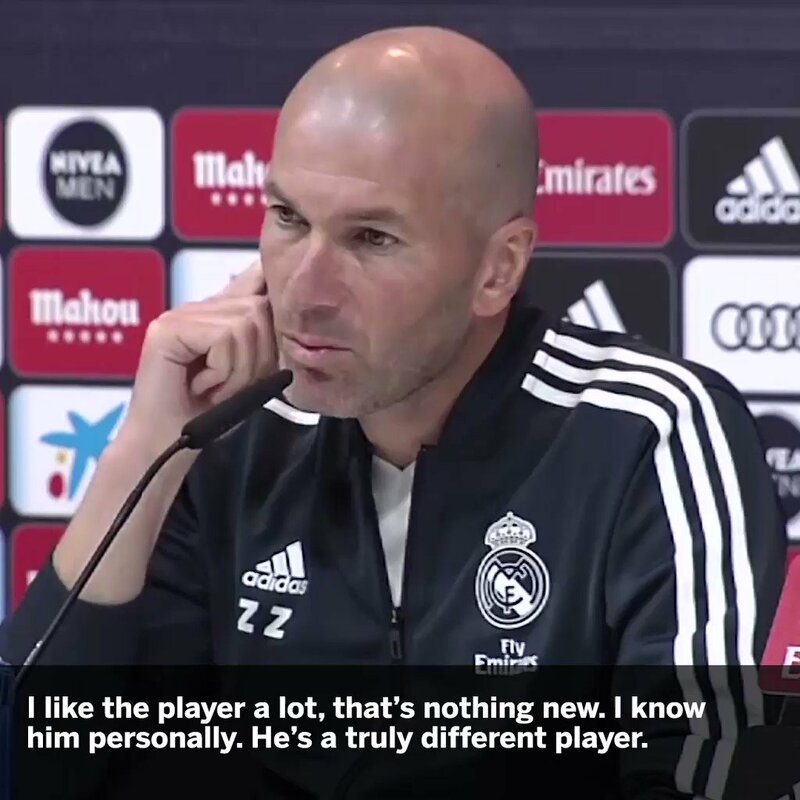 What's Pogba supposed to do about Zinedine Zidane's comments? It's clear that Real will, in all likelihood, push hard for Pogba. It's not their decision though. The ball is in United's court, he's under contract. I then look at what Pogba's compatriot, who ironically is at Real, Raphael Varane, is doing. The centre-back is openly telling his teammates that he plans to leave in the summer. That's the sort of toxicity that is only going to have a negative effect on any dressing room. Yet it's Manchester United's midfielder who is getting all the stick for merely admiring Madrid? I guess that comes with the territory of being such a marketable, world-renowned player, but where's the fairness in that? Varane 'really likes' Solskjaer apparently. It seems like every day, we're getting a new update about Varane wants to move away from the Santiago Bernabeu. He's getting off scot-free, yet Pogba, who has continued to work his socks off in a deeper role for United, without kicking up a fuss, is now public enemy number one. Perhaps it's time for the fans to go easier on Pogba. He's not forcing a move away, in fact, he's probably United's biggest asset at the moment and the 26-year-old is embracing that role. Sure, he may move to Real Madrid in the future but at this juncture, he's loving life at Old Trafford so why not enjoy it while we can?